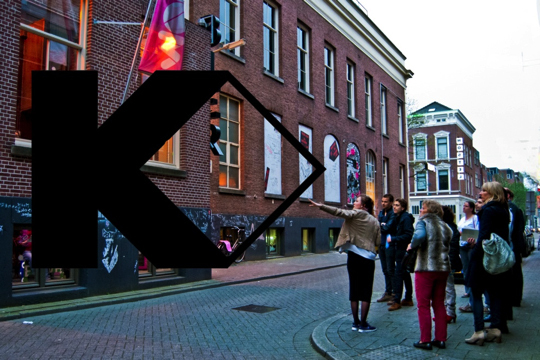 Come and join the Kunstblock Tour en get introduced to the ’now’ of arts and culture. In an enthusiastic and accessible way we will guide you through all the Kunstblock art venues in the Witte de With city quarter. Together these organizations offer a diverse program for a broad public. Get introduced to WORM, the example of avant-garde recreation; with instable media art in V2_; Showroom MAMA, home base of the young generation artists; international art at Witte de With Center for Contemporary Art; and the best of the Rotterdam art scene in TENT. Broaden your horizon, be part of a dialogue and get involved. Discover stories about the history and art of the Witte de With city quarter, be informed about the eye catchers in public space and don’t forget to listen to a variety of fun and unexpected anecdotes. The Kunstblock Tour can be booked per block. Start: Witte de Withstraat 50, Rotterdam. Reservations through tours@kunstblock.nl or for more information please contact us. Of course we can customize our tours and when consulted the tour can be combined with other (educational) activities of the Kunstblock partners.